Two paragliders crash-landed and were helicoptered to hospital Wednesday as the high-risk sport made its Asian Games debut in the highlands of west Java. Afghanistan's Lida Hozoori fell from a height of 15 metres (50 feet) after stalling in mid-air when the wind suddenly dropped, and suffered a spinal cord injury, Indonesia's search and rescue agency said. Her team-mates told AFP the injuries suffered by Hozoori -- a 24-year-old Afghan TV presenter and pioneering female paraglider in her country -- were not serious. Later on Wednesday Chinese paraglider Wang Jianwei suffered a broken leg after his parachute became folded 20 metres from the finishing area, causing him to crash, the agency said. Both athletes were taken to hospital in Jakarta for treatment and are conscious, it said. Paragliding is appearing at Asia's regional Olympics for the first time. The first gold medals were won Wednesday by Indonesia in the men's accuracy team event, and Thailand in the women's. Paragliding, where athletes take off from a hillside and manoeuvre a parachute, has come under scrutiny following the death of 44-year-old Hong Kong flier Patrick Chung. 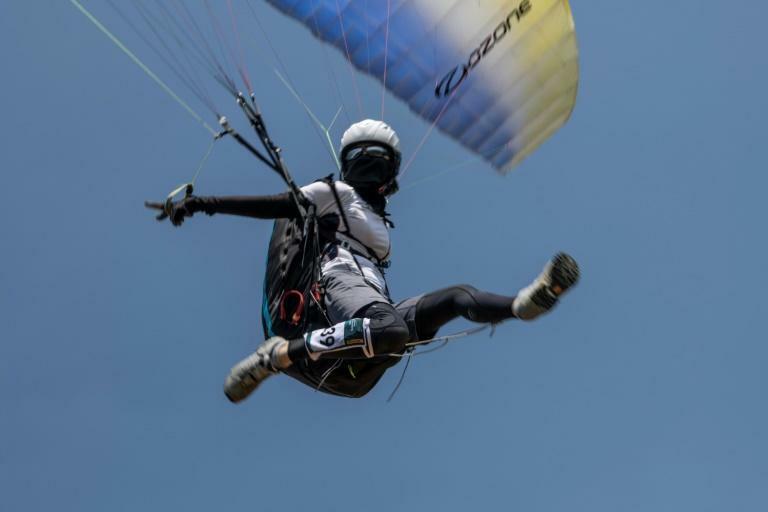 Hong Kong paraglider Cheung Yuk-wah also pulled out of the Games after crashing into a lake in Austria, according to local media. In the accuracy events, points are awarded for landing as close as possible to a circular, flat target area.